From hand-made basket liners to sweet spring softies and even a fabric patchwork treat for the Easter Bunny, our favorite DIY projects from around the web are perfect additions for any Easter Basket! 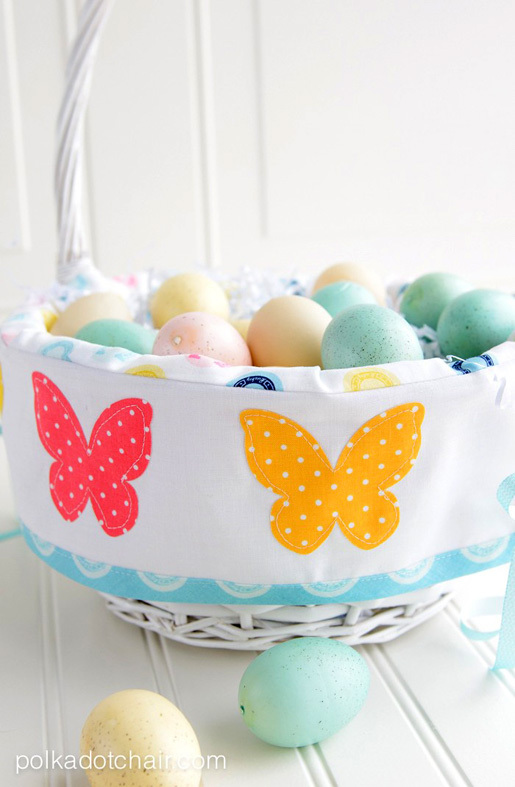 We love Melissa’s versatile Easter Basket Liner tutorial from her blog, Polkadotchair! Learn how to make a custom liner to fit any basket, and use appiqué, embroidery, or any other form of embellishment to make the basket a one-of-a-kind Easter gift. 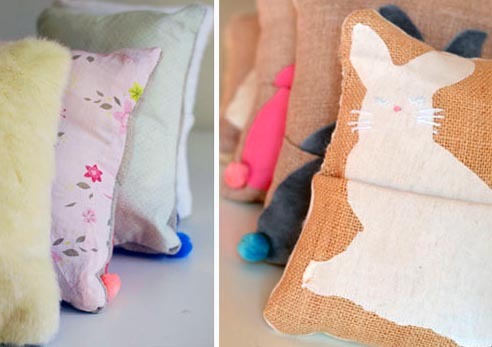 These pillows do double duty as both decorations for your home and Easter treat holders. Get the how-to from Willowday’s Bunny Basket Pillow tutorial. Take a few old pairs of socks and turn them into adorable Easter lambs, perfect to add to a gift basket. 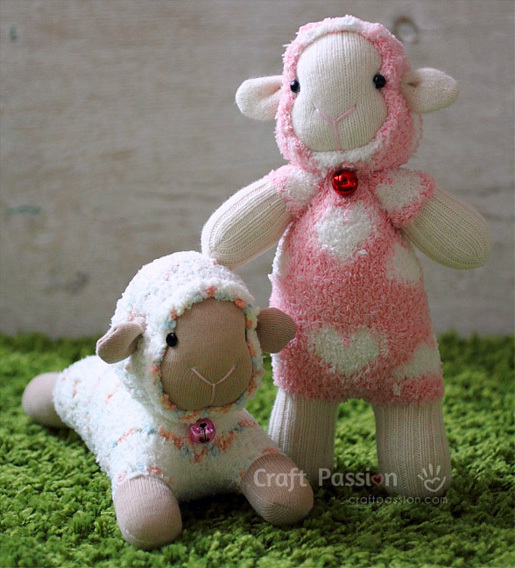 Find the instructions for How To Sew Sock Sheep at CraftPassion. If you’ve got a stash of fabric scraps, this cute patchwork chick would be the perfect project to stitch up as an Easter basket stuffer. 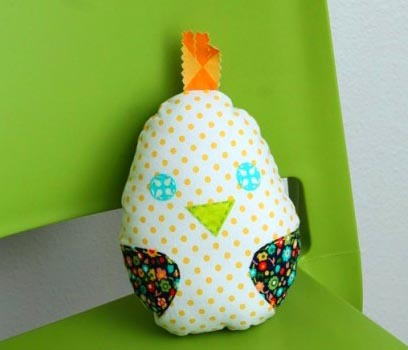 Get the free Easter Chick Softie pattern and tutorial from So-Sew-Easy. These sweet bunnies are perfect additions to any Easter Basket, the color and pattern of your bunny is only limited to your fabrics and imagination! 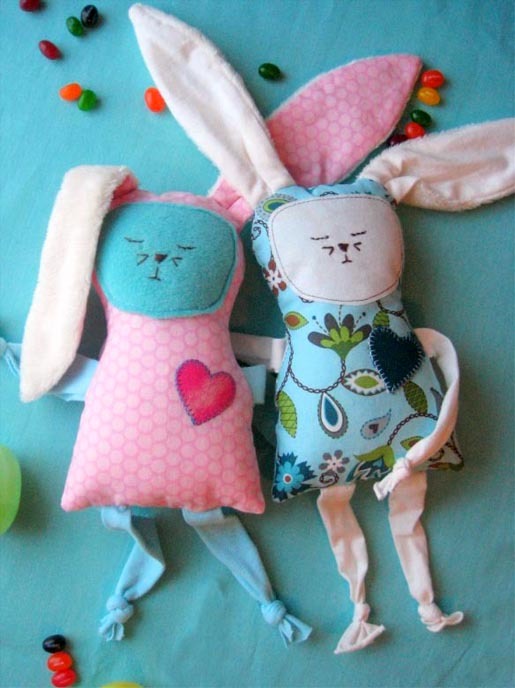 Get the Sweet Floppy Bunny free tutorial from The Sewing Loft. 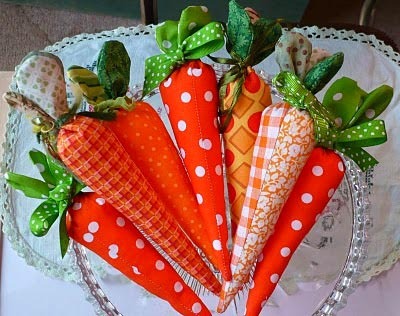 These patchwork carrots are easy to stitch up, make a great Easter decoration, and just happen to be the Easter Bunny’s favorite snack! Get the Easter Bunny Carrot how-to from Clare’s Craft Room. And last but certainly not least, bright and cheerful fabric and trim eggs make the best addition to an Easter Basket. 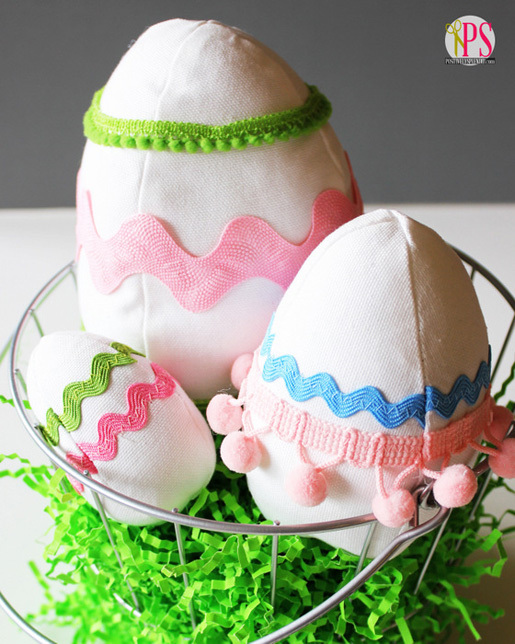 Find the free Easter Egg Pattern and tutorial at Positively Splendid.